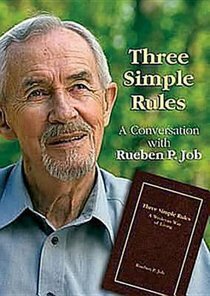 Based on the best-selling book, Three Simple Rules, now hear the author, Rueben Job, teaching and explaining his ideas on this thought-provoking book. These five sessions are perfect for individual or group study. Includes a 16 page discussion guide. Rueben Job, a retired United Methodist Bishop and former World Editor of The Upper Room, has done much to help post-modern Christians pay attention to soul-shaping practices of Christian spiritual formation. He lives in the Nashville, Tennessee area.